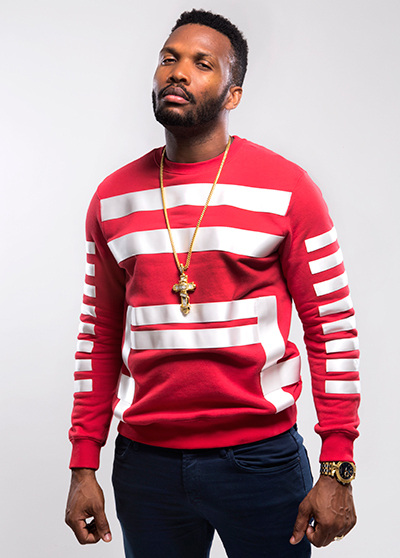 Jeffrey Campbell, also known as Assassin or Agent Sasco, has been a staple in Jamaican music for almost two decades. 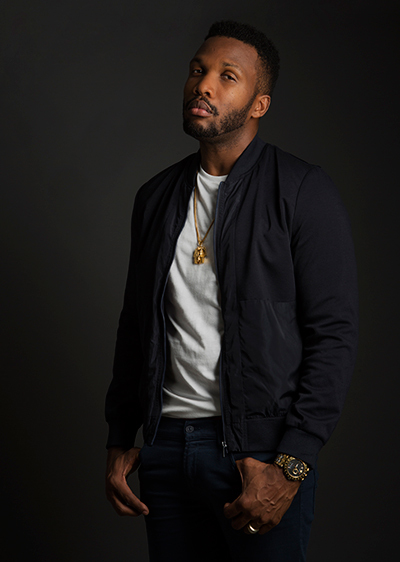 His rugged voice and smart lyrics have been featured over countless riddims and his work has captured the attention of mainstream American artists like Kanye West and Kendrick Lamar in recent years. He was even featured during the 2016 Grammys as a part of Lamar’s epic performance. Despite his success, Campbell remains humble and laser focused on family, creativity, and making the best music possible. Reggaeville had the opportunity to chat with Assassin on February 19th, the day his newest album, Theory Of Reggaetivity was released. He explained how he arrived at his theory, the difference between Assassin and Agent Sasco, as well as many other aspects of both his personal life and his prolific career. Your kids are on Theory Of Reggaetivity. You featured them on some of the skits and they seem to be a big part of your social media presence as well. Has becoming a father affected your approach to music in any way? Yeah. Most definitely. I think fatherhood has impacted me as a person and, you know, my personal development. And that naturally carries over into my music and how I approach a lot of things… How I approach life in general. So naturally it also features in my music in some way. How did they feel about being a part of the album? Was that something you had to push them into or were they really excited to be a part of it? Absolutely, they’re very excited about music and they really love being a part of it. They were just too excited to do it. I had my first child in November. Any advice for new parents? Ahh… (laughs) Understand that, you know, these kids don’t come with manuals. So you have to challenge yourself to really learn as you go and really commit to whatever you think will help you to mold them into being the best versions of themselves. That has been my approach. That being said, I’m no expert. I really just try to make sure that whatever I am doing is in their best interest. That means to let them maximize THEMselves, and be the best versions of themselves and not necessarily some idea of mine. They must represent themselves and not my ideas, you know. That’s good advice. Was there a moment in your youth when you realized that you had a talent for music and songwriting? Well my earliest memories include being fascinated by music and wanting to do it. It wasn’t me who recognize it, but people who surround me, like my older brother, who recognize it. So do you consider your older brother an influence on you musically? You say he recognized the talent. How did that come to be? Once again, my fascination with music was personal. And so me wanting to recite songs I heard on the radio or what not. He was five years older than me, so he would recognize like, ‘Yo! That sound cool!’ So, as a part of growing up, it was something that was a recreation, you know - him beating the drums and me deejaying. Was there any specific artist or album that inspired you more than others when you were growing up? What was it like hearing your voice on the Grammys during Kendrick Lamar’s performance? Oh, man, that’s amazing… Of course the Grammys, you know, that’s one of the ultimate platforms in music. And just to be a part of that space is just incredible, but even more so to be a part of such a powerful performance - one of the most talked about performances, for these Grammys definitely, and I’m hearing even talk of all time kind of thing. It’s just great to be included in that, even beyond personally, but you know… Dancehall and reggae and my culture - for it to be featured in such a significant moment, that’s just great. You’ve always had a more lyrical and intelligent approach to songwriting than most dancehall artists. Do you have a certain philosophy that you adhere to when you’re writing music? Yeah… Sure. And that’s just to make sure I’m respecting the art form enough to do my best… And just, you know, have fun with it. And to try at all times to represent myself well and represent my music well. And like I said, one of the main influences, Professor Nuts… When I fell in love with the music, one of the things that fascinated me was his ability to tell a story and have the story have a logical flow and sequence, but still have rhyming and, you know, everything involved… And I just feel like that’s the way I want my work to be appreciated and experienced. People can listen along and in all areas hear the right thing, from the flow to the composition itself to the rhyming… I really try to cover all bases. You said before that your two names, Assassin and Agent Sasco, represent two sides of your brand - like Coke and Diet Coke was how you put it - if what I read was accurate. 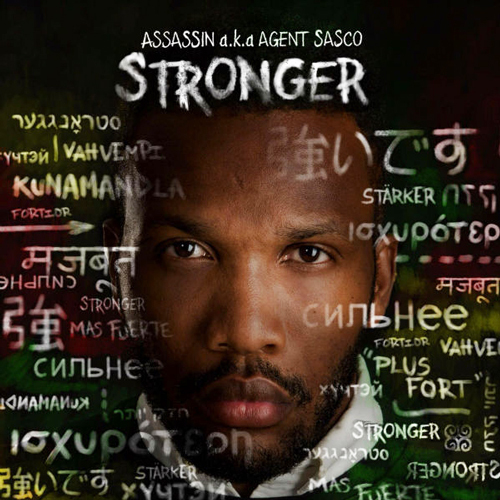 So how would you describe the differences between the Assassin and Agent Sasco products? Assassin was forged at a time when I was in high school, you know - fifteen, sixteen. It’s just raw talent. Just like straight up dancehall. Raw like RAAAAA! And Agent Sasco was born at a time that was a decade after that fifteen year old. By then I had become a father and, you know, I had certain experiences, and so the Agent is a more mature Assassin. I guess it’s what people might call OG status. Or if you want to use basketball terminology… It’s like the rookie coming in or somebody two years in the league springing from the free throw line at every turn - jumping out the gym - versus somebody ten years in who is playing the game with more finesse. Just a more experienced and balanced game, you know. Your last album was Gully Sit’n from 2007. I know you put in lots of work between then and now, but why such a long wait in between albums? I had to do a lot of figuring out, personally. Those albums were done on VP Records, and since then I took steps to get off the label and that took some time. Then after that, like I said, I had to do a lot figuring out, reshuffling, and get a clearer sense of what I wanted to do and how I was going to do it. And, of course, I’ve been working throughout that time musically, too, so it’s not like I took a break from developing. I was still developing and getting closer to where I think I need to be. It’s been a good set of years to learn and just figure things out. Theory Of Reggaetivity is more thematically driven than most albums from reggae/dancehall artists. There’s an obvious theme to it. How would you describe the overall message of the album? The overall message of the album is the experience of reggae in its many textures and its overall vibe or principals of reggae - from meditation and conscious reflections to Feeling Highrie, as one of the tracks is titled, to a little bit of romance in there on one of the tracks. And of course my kids are on there, so it’s a little bit of family too. It’s a little bit of exploring the origins of the music on a song called Reggae Origin. And it’s a little bit of exploring. What exactly is reggae music? What’s the sound of it? What are the distinguishing characteristics? That kind of thing… But the overall vibe is just Reggaetivity, no negativity… Yeah! So did you have the broader themes in mind when you were writing the individual songs for this album or was it something that came together more organically? I guess it’s a mixture of the two because when I decided that it was time for us to put a project together, I didn’t necessarily have the concept yet of the Reggaetivity. But the more I got in that mindset, I wanted to know how was the best way to approach the album - in terms of not from a place of fear or doubt or anything, but just to be creatively free to do an album. I realized that a theory is a good way to approach any kind of work, because it leaves so much room for correction and amendments. It’s a supposition rather than a declaration of exactly what is. I think there is a certain humility in putting forward a theory. That kind of gave me the freedom to just do whatever felt like… you know, I wanted to do. So I was thinking, hmmm… What would I call this theory? And, of course, I borrowed a little bit from Einstein. I don’t think it’s a bad place to seek some inspiration. So we borrowed from Einstein’s theory of relativity and we made the Theory Of Reggaetivity. And we have an equation as well… And guess what’s incredible about this equation. It’s called relative scale, how notes relate. So it’s still relativity. Isn’t that fantastic? And it’s still E… Instead of E = MC squared, it’s E = C#m (C sharp minor). It’s incredible that even the letters are the same in both equations. When I realized that all that was going on - the similarities between the two, I just felt like it was ordained or something. Like the universe itself was communicating. You’ve had some exposure to hip hop markets over the last couple years, and historically those markets are more susceptible to dancehall music. Do you think a reggae-heavy album will still appeal to them? Yeah, of course. It’s music. Bob Marley is a feature of every marketplace, and that’s reggae. Come on, it’s unquestionable what reggae music has done. But outside of that I must say that, like I said earlier, doing this album wasn’t about outcomes or trying to worry about external factors like, ‘Oh, I got this Kendrick feature and I got this Kanye feature so, you know what, let me go ahead and try to do a little dancehall mixed with some hip hop.’ You know what I mean? I really did this album based on what I was feeling a conviction to do. So I never had those kind of considerations at all. I know you had executive producing duties as well as all the songwriting, so what was the most challenging part of making Theory Of Relativity for you? Being responsible for a lot of what I consider the clerical work in the early stages. In the latter parts, a lot of help come on board and help smooth things out. Outside of the creative stuff, the paperwork stuff… That ain’t fun, man. (laughs) Outside of that, I really had a great experience making this album right across the board. It was a great learning experience as well, and I really look forward to working on more projects after the things I learned working on this one and taking advantage of this new experience. Is there any particular song from Theory Of Reggaetivity that you feel especially close to? I’ve been looking back over the album, especially over the last month prior to the release, and trying to get a real… Like I try to disconnect myself, as the artist, from the album and just listen (to) it as best as I could just as a listener. And what I found was the song, Stronger, really spoke to me as if I wasn’t the one saying the words. I really started to experience the song just as if I was somebody listening to the words and it really had an impact on me, that song. I think it just really tells the story of so many people, including myself - perseverance and sticking through it even through the rough days.